Today’s most important concern for our country is power generation. In recent years coal fired power plant is being heavily discussed. Like other Asian countries Bangladesh also wants to find a way to Energy solvency through Coal fired Power Plants, Nuclear Power Plants and Renewable Energy Sources. In the shadow of advance way, the Ruling Awami Government of Bangladesh has chosen mass destruction project for fulfilling the power generation, which could be considered as a worse fate for Sundarban. In that context, Bangladesh’s $1.6 billion cost Rampal thermal power project in Bagerhat district, under southern Khulna Division. Sheikh Hasina-led Awami League (AL) government believes that the 1320 MW capacity power plant is essential to meet the country’s ever-growing demand for electricity. The project is also important from the standpoint of the AL government’s mid-term and long-term development agendas. The government holds that the power plant will significantly contribute towards the development of Rampal Upazila – an area that has remained deprived in terms of infrastructure over the years. So any kind of obstacles behind Rampal power plant could be removed by AL Government. But it has been in the midst of controversies for its possible negative impacts on the already fragile ecosystem of the Sundarbans. This work is proposed as a joint partnership between India’s states owned National Thermal Power Corporation and Bangladesh Power Development Board. The proposed project, on an area of over 1834 acres of land, is situated 14 kilometers north of the world’s largest mangrove forest ‘Sundarbans’ which is a UNESCO declared world heritage site. It will be the country’s largest power plant. The entire electricity generation process will be based on coal imported from countries like Indonesia and Australia. Bangladesh produces a mere 2.26% power from coal, while 40% of power comes from coal in the United States, 41% in Germany, 68% in India, 78% in Australia, 79% in China and 93% in South Africa. Coal fired Rampal power plant planning is considered to be one of the most controversial decisions as this project has environmental issues. However the government of Bangladesh rejected allegations that the coal-based power plant would adversely affect the world’s largest mangrove forest. The energy advisor of the prime minister said that the controversy over the power plant and its impact on the Sundarbans was “not based on facts”. He also said that the plant will not negatively affect the mangrove forest because the emission of greenhouse gas will be kept at a minimum level. The government also affirmed they will import high quality coal, build a 275 meter high chimney and employ state-of-the art technology to keep its impact on the Sundarbans at a negligible level. But the crucial discussion about environmental security of Sundarbans is not satisfied yet. A number of NGOs and leftist political organizations have been staging protest demonstrations in Dhaka and Rampal to mobilize public opinion against the AL government’s decision to build a thermal power plant near an ecologically sensitive area like Sundarbans. The Rampal Power Station is a proposed 1320-megawatt coal-fired power plant at Rampal in the district of Bagerhat. It is a joint partnership between India’s state owned National Thermal Power Corporation and Bangladesh Power Development Board. The joint venture company is known as the Bangladesh-India Friendship Power Company (BIFPC) or Moitri Power plant. The proposed project, on an area of over 1834 acres of land, is situated 14 kilometres north of the Sundarbans. It will be the country’s largest power plant. In August 2010, a Memorandum of Understanding was signed between BPDB and NTPC) where they designated to implement the project by 2016. On January 29, 2012, the BPDB signed an agreement with NTPC to build the plant, agreed to implement the project on a 50:50 equity basis. The NTPC will set up and operate the plant. Bangladesh and India will equally share up to 30 per cent of the capital of this project as equity. The remainder of the capital, which might be equivalent to USD 1.5 billion, will be taken as bank loans with help from the NTPC. The project reportedly violates the environmental impact assessment guidelines for coal-based thermal power plants. On August 01, 2013, the Department of Energy of Bangladesh approved construction and set 50 preconditions for the project. But the location of the plant, 14 kilometers from the Sundarbans, violates one of the basic preconditions which say such projects must be outside a 25-kilometer radius from an ecologically sensitive area. The predictions made by environment and ecology experts are that the plant will release toxic gases such as carbon monoxide, oxides of nitrogen and sulphur dioxide, thereby putting the surrounding areas and, most importantly, Sundarbans at grave risk. 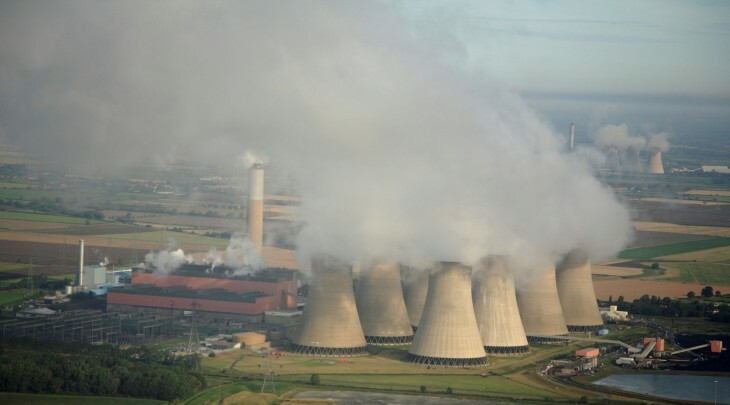 According to media reports, the Indian central and state authorities which deal with environmental concerns in India rejected the proposal of NTPC to set up a similar coal-fired thermal power plant at Gajmara in Gadaawara of Madhya Pradesh over a number of points. NTPC failed to get approval of the Indian Central Green Panel (Green Tribunal) in 2010 for the construction of that coal-fired thermal power plant because a vast portion of double-crop agricultural land reportedly comprised the site, a similar situation to Rampal. On March 01, 2011, a bench of Bangladesh High Court asked the government “why the construction of the plant should not be declared illegal”. Environmental experts have expressed concerns that the proposed plant at Rampal in Bagerhat might destroy the Sundarbans. On February 29, 2016, BIFPCL inked an agreement with India’s state-owned Bharat Heavy Electricals Limited (BHEL) to build the plant. The Rampal power plant, which is also referred to as “Maitree (Friendship) Project”, will be constructed over 1,834 hectares near the Mongla sea port. The National Committee on Protection of Oil, Gas, Mineral Resources, and Power-Port, environmentalist groups, left-leaning parties and people in general have vowed to resist the planned inauguration of the Rampal Power Plant. However, many organized campaigns by various environment groups, Teachers-students, civil societies are against it, the Rampal project could not make much headway in the initial years. Local reports say the project was originally scheduled to be awarded by early 2014, and completed by 2017, but the process was held up as the BIFPCL failed to obtain donors in the face of environmental concerns. The company has acquired land and started the construction work, including land filling and building infrastructure. Since the AL government wishes the BIFPCL to make the power plant operational within its tenure, the company aims at completing the mission by the end of 2019 with the entire power to be supplied to Bangladesh. The Sundarban is the world biggest mangrove forest in the world consisting 6200km² of forest and riverine areas. It is one of the richest natural gene pools for fauna and flora in the world. The flora contains at least 69 species, with the Sundari and the Gewa being the dominant species. A total of 425 species of wildlife, including 42 species of mammals, 300 species of birds, 35 reptiles, and eight amphibian species, have been identified in the Sundarbans. It is the home of the Royal Bengal Tiger. UNESCO has declared the forest as a World Heritage Site. The Intergovernmental Panel on Climate Change (IPCC) has projected that the state of tropical forest ecosystems is likely to get worse due to climate change. The Sundarbans is already affected by climate change, importantly from increasing salinity and extreme weather events like tropical cyclones. World Wildlife Fund for Nature Conservation (WWF) estimates that due to sea level rise, nearly 7,500 hectares of mangrove forest in the Sundarbans may be flooded. Many studies have shown that tropical cyclones destroy the mangrove forests to a large extent. For instance, in the recent past, cyclone Sidr has destroyed one-third of the Sundarbans. A recent study of IPCC showed that surface water temperature has been rising at the rate of 0.5 degree Celsius per decade over the past three decades in the Sundarbans, eight times the rate of global warming rate of 0.06 degree Celsius per decade that makes the Sundarbans one of the worst climate change hotspots on the globe. Industrial developments in the region and opening up of access to trade have also imposed increased demands on forest resources, particularly timber. 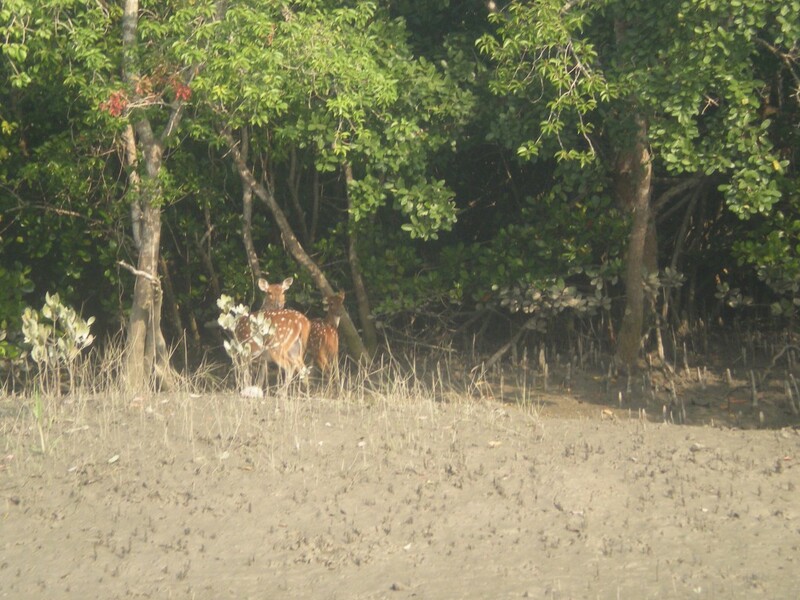 A ten kilometer area surrounding the Sundarbans was declared an ecologically critical area (ECA). However, the environment ministry had already issued permission earlier to set up 150 industrial projects there. The no-objection certificates are yet to be cancelled despite provision to revoke such permission once the area is declared ECA. The recent Rampal power plant is also raising concern to mass wreck of Sundarban. Experts in climate change predict that extreme weather, along with just a 45 cm rise in sea level would submerge 75 percent of the Sunderbans. The AL government continues to back the Rampal project even after relentless campaigning against it. The AL leaders have rejected the notions of the critics, saying they hardly reflect the ground realities. The government claims that the power project will help mitigate the perennial power crisis to an extent and add impetus to the local economy. The construction of the Rampal power plant has been part of an ambitious government plan to enhance power generation to 20,000 MW by 2021. Studies indicate that Bangladesh’s environment department has approved the project’s environment impact assessment (EIA) report. The government officials have downplayed the threats and insisted that the emissions of carbon, sulpher, fly ashes and other types of air pollution will be “kept at a minimum level to avoid any adverse impact on the environment”. They assured that the BIFPCL would import high quality coal, erect a 275 metre high chimney, use state-of-art technology and undertake other steps to ensure that the plant’s impact on the nearby Sundarbans remains at a negligible level. The government argues that the project will lessen the financial dependency of the local people on the mangrove forest by opening the opportunity of alternative employment. State Minister for Power, Energy and Mineral Resources Nasrul Hamid observed that the local people, who had been involved in illegal tree-felling and other illicit activities in the Sundarbans to earn a living, would get job opportunities in the plant. BIFPCL is piloting the project, said the site was chosen “at a safe distance” from the Sundarbans after careful observation. The company has pointed out that the plant is located 69 km away from the UNESCO World Heritage Site and 14 km from the border of the Sunderbans. The BIFPCL has emphasized that “modern ultra-super thermal technology” will be used in the plant to prevent emission of harmful dark smoke and ash. Furthermore, the senior company officials have cautioned that delay in setting up the project will impede “overall development” of Bangladesh. The plant will need to import 4.72 million tons of coal carrying need about 59 ships per year, each having 80,000-ton capacity that would be taken to the port on the bank of the Poshur river. The path from the port to the coal plant will cut through 40kms of the Sundarbans. Environmentalists claim these coal-carrying vehicles scatter large amounts of fly ash, coal dust and sulfur, and other toxic chemicals. It could be threaten the delicate ecosystem of the Sundarbans, which is just 14 kms away from the plant. 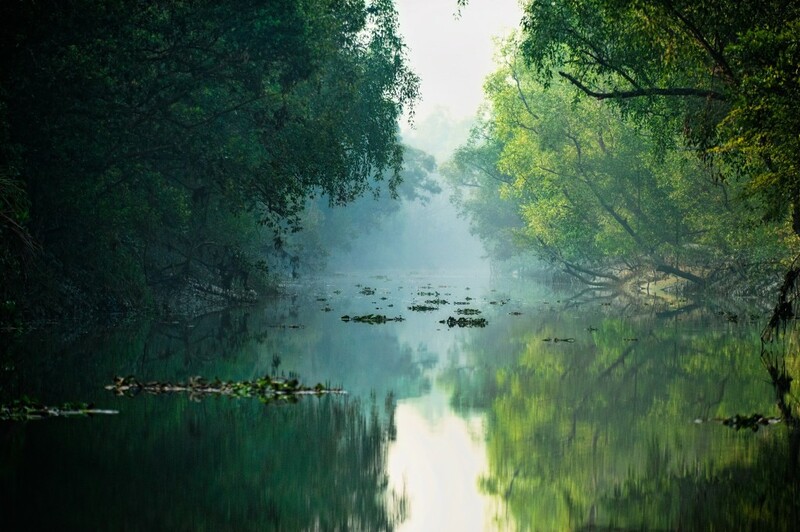 Part of the Sundarbans is also a UNESCO World Heritage Site, and a number of international bodies have expressed reservations over the Rampal thermal power plant. The plant, comprising two units of 660 MW each, is estimated to burn 4.72 million tonnes of coal a year. Fearing adverse impact on the largest mangrove forest of the world, several environment organisations, local civic bodies and left parties have been consistently demanding cancellation of the project, saying it would cause environmental disasters. The environmentalists have cautioned that the plant will release several toxic gases, including carbon monoxide, oxides of nitrogen, sulpher dioxide and large amount of fly ash to the surrounding environment, polluting the ecologically sensitive Sundarbans. The environmentalists are also seriously concerned over the project since Bangladesh is highly vulnerable to climate change. They have noted that the Sundarbans, which act as a natural guard against recurrent cyclones, should not be disturbed. The power plant will also affect the livelihood of thousands of people who rely on the Sundarbans and the nearby Passur River. Many non-governmental organizations (NGOs) and rights groups have warned that the movement of coal in small vessels through the Passur River on a daily basis is bound to contaminate its water. In such a scenario, the local people, who have been engaged in fishing, will be rendered jobless. It is threaten that thousands of local inhabitants have already been dislocated for the construction work. Reports suggest that the government’s land acquisition for the project have dispossessed many from their residences and farms. Moreover, the critics say the power plant will encourage industrialization and urbanization, eventually destroying the forest. The Government already says a chimney of 275 meter height will be built. This will be the country’s tallest structure. But only a taller chimney will not be able to solve of carbon removal. Because, Mangroves can sequestrate or take up more carbon than any other type of forest land. Because mangroves traps not only fine sediment and organic matter but also coarse sediment driven by storm waves. Finally, this new coal-fired power plants will be the serious threat for world largest mangrove forest; environmentalists are urging the United Nations to draw greater attention to the issue. A handful of environmental groups, including Friends of the Earth, the Sierra Club and 350.org, have cumulatively collected 50,000 signatures on a petition just submitted to the United Nations Educational, Scientific and Cultural Organization (UNESCO) asking that the Sundarbans — a region of Bangladesh including a designated World Heritage Site — be placed on the official List of World Heritage in Danger. Meanwhile, activists continue to lobby against the construction of the power plants. On the other hands, Bangladeshi environmental activists march behind a banner during a rally from Dhaka on March 10 toward the Sundarbans, part of a protest against the installation of a power plant near the mangrove forest. Hundreds of Bangladeshi protesters marched from the capital to the Sundarbans in a protest against plans to build a coal-fired power plant near the World Heritage-listed forest. And also protest is running by verbal, written and structural movement by all sectors of civil societies.